Summer means beach time to Christy. But her best friend, Katie, has a different idea - let's be camp counselors! Christy warms to the plan until Katie announces at the last minute that she has to back out. Christy takes on the challenge and soon finds she is bewildered and overwhelmed by her fifth-grade girls, who have boundless energy for anything except what Christy wants them to do. Do they even hear a word she says? Soon they’re playing matchmaker between Christy and Jaeson, a handsome counselor and he doesn’t seem to mind. Will a canoe ride in the summer moonlight change the feelings Christy has carried for Todd the last two years? Christy’s birthday turns into the post-camp, summer beach party she's been dreaming of. Or does it? 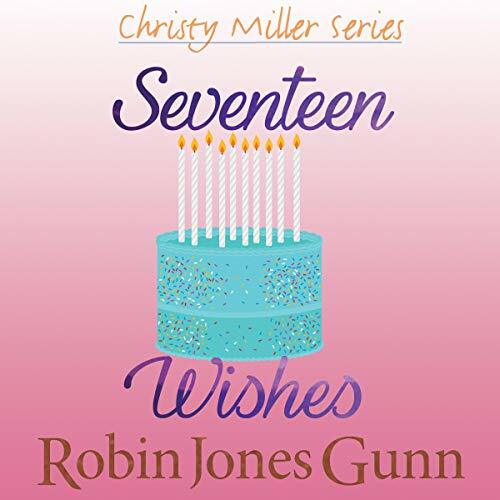 When Christy blows out the 17 candles what will she be wishing?